Farmer, MLA (1927-1932), MLA (1933-1936). Born at Brandon on 9 April 1887, son of Roderick McKenzie and Janet McDonald, he was educated at Turriff School, Brandon Collegiate and the Manitoba Agricultural College. He farmed near Brandon and, from 1916 to 1926, served as Secretary-Treasurer of the United Farmers of Manitoba. In April 1926 he was appointed by the federal government to the Advisory Board on Tariff and Taxation. 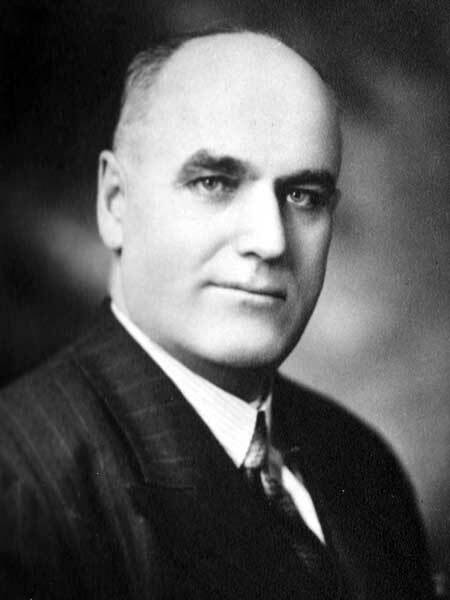 He was appointed Minister of Mines and Natural Resources and Provincial Secretary in October 1928, then elected to the Manitoba Legislature at a by-election held in November 1928. He was re-elected at the 1932 general election. He served as Minister of Public Utilities (1929), Minister of Agriculture (1932-1936), and Power Commissioner (1933-1936). In 1939 he moved to Winnipeg as Vice-President and General Manager of United Grain Growers. In 1942 he was appointed Chief Commissioner to the Board of Grain Commissioners of Canada, retiring in 1957. On 18 November 1914, he married Katie Belle Cole (?-1946), daughter of Alexander and Margaret Cole, of Brandon. They had eight children: Margaret Janet McKenzie (1916-2011), Kathleen Donalda McKenzie (1917-2012), Alyce Lillian McKenzie (1919-2005), Rae Alexander McKenzie (1921-1984), Lorna Jean McKenzie (1926-1998), Donald Roderick McKenzie, John Malcolm McKenzie (1929-2012), and Ian Robert McKenzie (1932-1949). He served as President of the Manitoba Chamber of Commerce (c1948), Canadian Chamber of Commerce (1941-1942), Canadian Club of Winnipeg (1953-1954), and International Peace Garden Association. He was a member of the Board of Governors for the University of Manitoba, Brandon College, Provincial Exhibition Board, Manitoba Health Services, and Dafoe Foundation. He was a member of the Kiwanis Club (Brandon), Elks Club (Brandon), Masons (Brandon Lodge), and St. Andrews River Heights United Church (Winnipeg). He died at his Winnipeg home, 28 Cordova Street, on 14 May 1963 and was buried in Brookside Cemetery. He was inducted posthumously into the Manitoba Agricultural Hall of Fame. “Election held by Chamber of Commerce,” Winnipeg Free Press, 2 October 1942, page 12. “Gurney Evans Canadian Club Head,” Winnipeg Free Press, 22 May 1954, page 3. Obituary, Winnipeg Free Press, 15 May 1963, page 38. We thank Nathan Kramer, Bruce McKenzie, and Donald McKenzie for providing additional information used here.